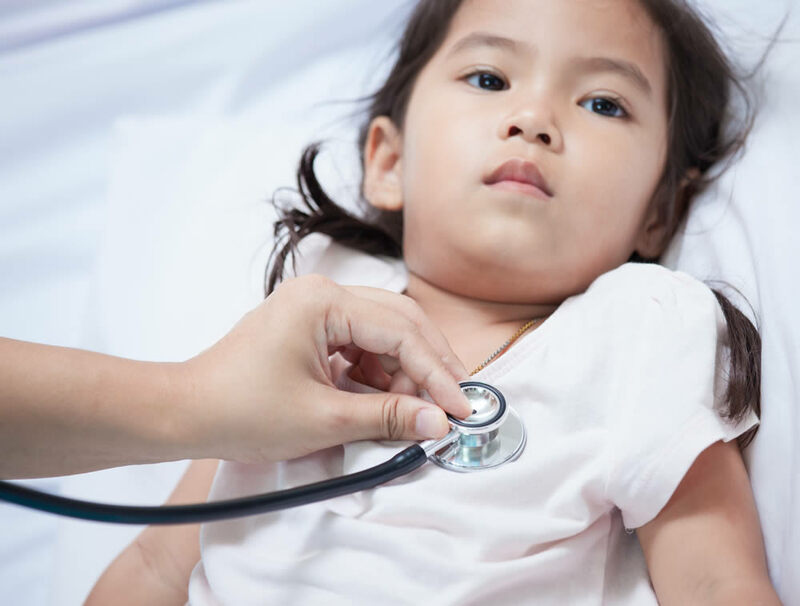 We regularly see patients for Complex congenital heart disease, Heart murmurs, Chest pain, palpitations and syncope, Kawasaki disease, Lipid disorders and hypertension, Adults with congenital heart disease and to approve for sports clearance. Below is a list of some of the cardiology services we offer to support our patients and assist in diagnosis. Please click on the toggle to read more. We look forward to serving you and your family! A transthoracic echocardiogram (TTE) is the most common type of echocardiogram, which is a still or moving image of the internal parts of the heart using ultrasound. In this case, the probe (or ultrasonic transducer) is placed on the chest or abdomen of the subject to get various views of the heart. Fetal echocardiography is a test similar to an ultrasound. This exam allows your doctor to better see the structure and function of your unborn child’s heart. It’s typically done in the second trimester, between weeks 18 to 24. The exam uses sound waves that “echo” off the structures of the fetus’s heart. A Holter monitor is a battery-operated portable device that measures and records your heart’s activity (ECG) continuously for 24 to 48 hours or longer depending on the type of monitoring used. The device is the size of a small camera. It has wires with silver dollar-sized electrodes that attach to your skin. A cardiac stress test is a cardiological test that measures the heart’s ability to respond to external stress in a controlled clinical environment. The stress response is induced by exercise or by intravenous pharmacological stimulation. An interventional heart catheterization is the treatment or repair of a heart condition during a heart catheterization, through the use of special devices. A cardiac catheterization or “heart cath” is a minimally invasive procedure which allows the doctor to look inside the heart through just a few pokes in the skin. Contacting Your Cardiologist: If you have a non-urgent question during non-business hours, please leave a message at any of our offices. 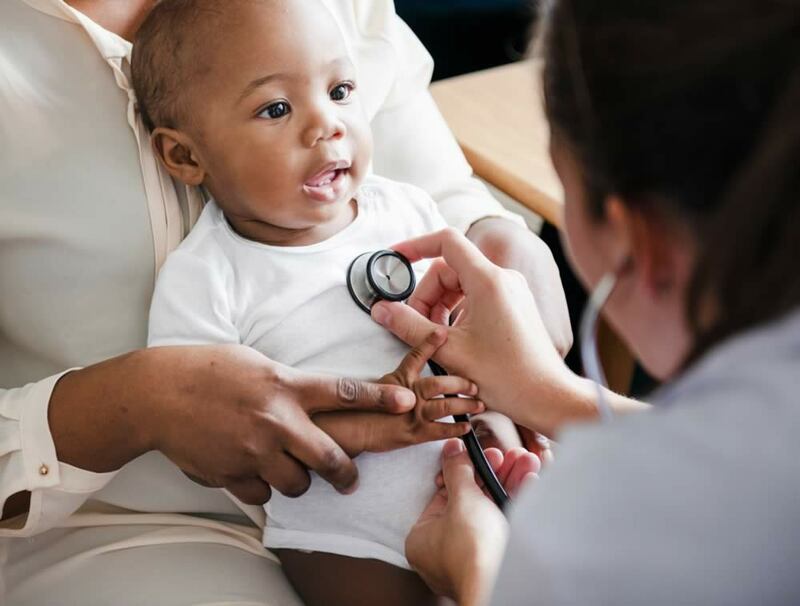 If you need to speak with your child’s cardiologist, you will be given an option and the cardiologist on-call will contact you as soon as possible. Cancellations: If you need to cancel your scheduled appointment please be courteous and give us at least 24 hours notice. Thank you. Hours of Operation: Monday-Friday excluding holidays from 8:00AM until 5:00PM. Transthoracic echocardiography is the most widely used non-invasive imaging modality in the diagnosis and follow-up of patients with congenital heart disease. An echocardiogram uses sound waves to produce moving images of the heart and blood vessels. It can also assess blood flow through the heart. During an echocardiogram, gel will be placed on a small camera and moved around different areas of the chest, creating images of the heart and it’s structures. This exam is painless and provides no radiation. Children are able to watch TV or sit in their parent’s lap to make them feel comfortable while most infants fall asleep and can be fed while the echo is being done. This test will provide the cardiologist with vital diagnostic information to best care for children with congenital heart disease. A treadmill test (or stress test) is performed to determine the heart’s response to exercise. Your doctor may consider this test if your child has been complaining of chest pain, palpitations, or fainting with exercise. During this test, your child will have stickers placed throughout the chest to monitor the heart tracings. The test will begin with a slow walk. The treadmill will then become faster and steeper every 3 minutes until the patient is exercising at their full capacity. The heart rate, blood pressure, and heart tracings will be recorded during exercise. Your cardiologist will be present to review the test results while the test is performed. Consultation with interventional cardiologist to review the data, confirm indications, discuss details of the procedure and explain the risks, benefits and possible complications. All families are given the option to donate blood in advance of the procedure. Blood donations are optional. Phone call from the nursing staff one or two days before the procedure to update the family, check for last minute changes, give instructions on when to hold feeds, and time to arrive for the procedure. On the day of the procedure, patient and family present to the hospital main entry information desk and give the patient’s name and date of birth. From there the family will be escorted to registration to start the day. After registration the patient is evaluated by surgical nurse practitioner to rule out any acute illnesses, change in health status and to prepare concise health summary to be used for all involved in the procedure. The interventional cardiologist and anesthesiologist will then meet with the family to discuss the procedure, risks, benefits, and possible complications. Formal written consent for the procedure will obtained. Almost all catheterization procedures are performed under general anesthesia. The staff in the pre-operative area are especially trained in pediatric care and are extremely sensitive to children’s needs. Child life specialists and pastoral services are always available if the family requests their support. Interpreters are available for non-English speaking patients. Most patients are pre medicated (By mouth or IV) to help minimize anxiety and memory of the events. Patient is transferred to the Cardiac Catheterization Suite. Parents are only allowed to accompany the patient if approved by the anesthesia team. Once the patient is under anesthesia, the parents are asked to wait in the surgical waiting area on the first floor. After the procedure, the patients return to the recovery area for observation. Most patients are discharged home after 6 hours of observation. Discharge instructions including wound care and follow up will be given during that time. Scheduled admissions and overnight stays are on a case by case basis and will be explained individually. Patients are instructed to follow up with their primary cardiologist in approximately one week.